BY KEVIN SAWYER – Just when you may think that you have heard just about everything, along comes a tale so ingenious and so unbelievable that it will have you shaking your head. 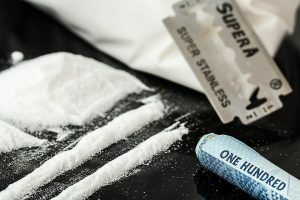 Apparently, there was some pure high grade cocaine being sold in New York City to a rather upper class clientele and the distribution points had been local drug stores. New York City police narcotics detectives, working for over a year, have arrested three cocaine dealers in Manhattan who had been delivering their pure product to certain Wall Street executives in local pharmacies, art galleries and fancy restaurants but the safest and most lucrative places, the drug dealers found, were in the aisles of a local CVS or other pharmacy. Not only did the dealers have a wealthy clientele, but they were selling the cocaine at twice the street value simply because they could. NYPD conducted their surveillance for a year and took notice of, not only the dealers, but their clients. Some have been picked up already with the rest going to be arrested in the next few days. The three drug dealers, NYPD detectives said, were all like the walked out of Al Pacino’s Scarface movie. They were always on the move, dumping burner phones every day and talking Wall Street drug lingo that was making them a fortune. Some of the detectives said it was like they were back in the 1980’s. The dealers would personally deliver the cocaine to their clients at their convenience. Many was the time that a deal was made when a Mercedes drove up and the dealer got in and took a two block ride. The dealers only traded in pure cocaine but many of their clients were also looking for such things as Adderall. The investigation report is 88 pages long and some of the clients are being held on as much as $30,000 bail. Lawyers for the arrested clients are complaining that the judge in the case is looking to shame them. They state that in most cases, with this type of criminal act, the arrested are allowed to go free on their own recognizance. NYPD officials said that the drug operation was ingenious and extremely low key. They were discreet but officials said that the operation just couldn’t stand up to a long term surveillance operation which, in the end, was what got everyone caught.